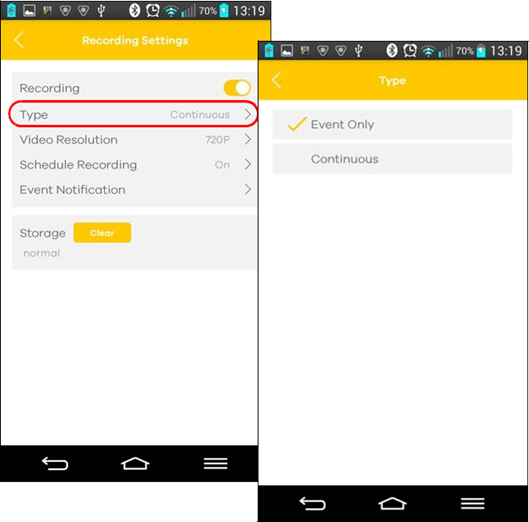 If you want to record at certain time, you can set a schedule to record videos automatically at any specific time. 3. Tap Recording Settings then Schedule Recording. Turn on scheduling and the days and times to record. 4. Return to the Recording Settings screen and tap Type. 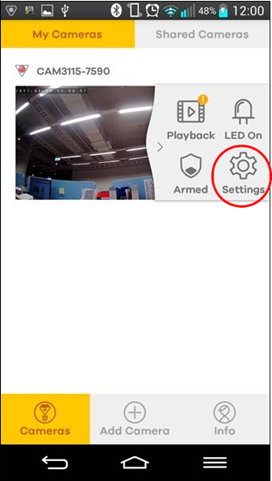 Select Continuous if you want continuous recording or select Event Only to have the Aurora camera record videos only when an event happens (such as motion detection) at the scheduled time. 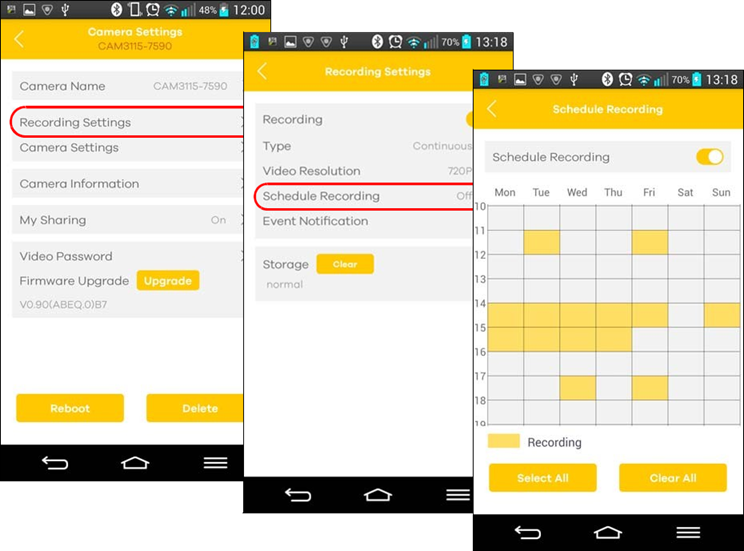 Note: If you choose continuous recording, the video recording stops when you change the recording type, or when a schedule end time is reached if scheduling is enabled. When the Aurora camera’s storage is full, the Aurora camera deletes older videos as it records new ones.